Sheevendra Sharma discusses here how scientific publications are often measured solely by their end result, missing the important contributions that come before this and introduces Profeza, a platform they co-founded with the intention of changing this dynamic. Research, once christened as the ‘voyage of discovery’, is the organized and systematic process of gathering information, analyzing data and generating novel concrete findings pertaining to any discipline of study for the advancement of knowledge. It is a tedious process and is usually backed by authentic bibliographic references to strengthen and consolidate findings. A former Professor at the University of Michigan, Clifford Woody, who addressed a wide range of problems in education, once said, research comprises of defining, redefining a problem, and formulating a hypothesis. Although the process of research involves several stages, it is essentially the outcome of research (namely publication) that is prioritized. The path to consolidate research is usually lengthy and calls for substantial effort. Generally, a research process comprises of three stages. The first stage is essentially about putting resources in place. Recruitment of suitable manpower, evaluation, management, establishment of funds and striking up partnerships are some of the tasks undertaken. The second stage embraces the methodology of research. Performing searches within a topic, discovering the fundamentals, reading, reviewing research work, carrying out experiments, troubleshooting results and thorough scrutiny of research comprise the methodology. The basic elements of research consist of outlining the hypothesis, projecting the problem, framing the question, providing the solution, presentation of evidence, development of argument, analysis of data and application of research design. There are two basic approaches to research – quantitative and qualitative. Quantitative pertains to the number of publications that a researcher achieves during his early career, and qualitative refers to the place where each publication appears. The definition of research is subjective but the process and functionality are the same. In case of students who write a thesis/dissertation, it’s the way to attain a high position in the social structure. For philosophers and thinkers, research is the channel for new ideas and insights. Analysts and intellectuals look to research for the development of new theories. The third stage talks about sharing of research work in the form of publication, managing the data and providing benefits to society with the end results. The real reflection of a researcher’s actual scientific potential is delivered in the first two stages. however, they hardly get noticed. The only thing that matters, it seems, is the publication of an end result in high-profile journals or the yearning for increased number of citations. Profeza is a social platform for Scientists/Researchers dedicated to changing the way of assessing research & researchers and attempting to bring change in the scientific community. The platform introduces accountability and transparency. 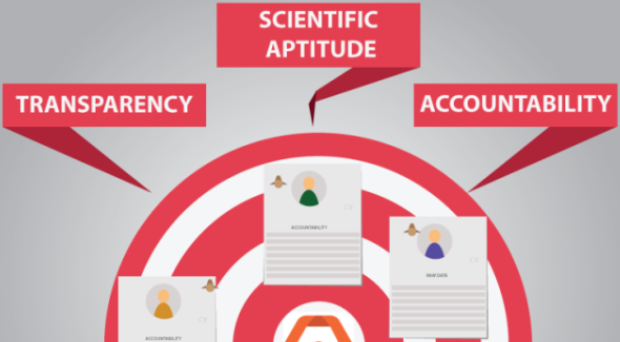 By introducing accountability, it aims in asserting a candidate’s suitability to work as an independent researcher, and by introducing transparency, it ensures that their work is reproducible and is available for one and all. Sheevendra Sharma has a background in research but decided to move outside of academia to build something that recognized individual authors’ efforts and reflected accountability and transparency in scholarly communicated articles. He is currently the Co-Founder and COO at Profeza.com which endeavors to introduce accountability and transparency in published articles and recognize the credit of individual authors. Their aim is to bring a paradigm shift to the way scholarly articles are communicated and the way scholars’ credits are associated with them.